The state of Arkansas is struggling to find enough volunteers to witness eight inmate executions scheduled over 10 days in April. To find more volunteers, its corrections department has reached out to the Little Rock Rotary Club. Citizen witnesses at executions are there to verify they were carried out according to Arkansas law. A volunteer must be at least 21 years old, an Arkansas resident, have no felony criminal history and have no connection to the inmate or to the victim. No one wants to watch executions in Arkansas. Lawmakers desperate for volunteers. Finding volunteers among the club may be difficult according to its acting president, Bill Booker. Booker said he wouldn’t volunteer for the task, adding that it was a lot different to be involved after a death has occurred. He recounted how he witnessed a fatal traffic accident 40 years ago and helped a young man as he was dying. The Department of Correction does not have a current count on the number of witnesses who have signed up for the role and Kelly was “making informal inquiries to find more volunteers,” spokesman Solomon Graves said. “Depending on the response received, further recruitment may not be necessary,” Graves said. The state’s death penalty law requires that the prison director have no fewer than six and no more than 12 witnesses for each execution. None of those interviewed by the Democrat Gazette would volunteer for the assignment. Charles Moore of Camden, who served two tours during the Vietnam War, said he’s seen enough death in his lifetime. Marianne McKinney said she supported the death penalty and would not mind witnessing an execution, adding that "they made their decisions and have to suffer the consequences." "I know it may seem cold, but we need justice on our streets to protect us," McKinney told KARK TV. "I don't think it'd bother me at all." 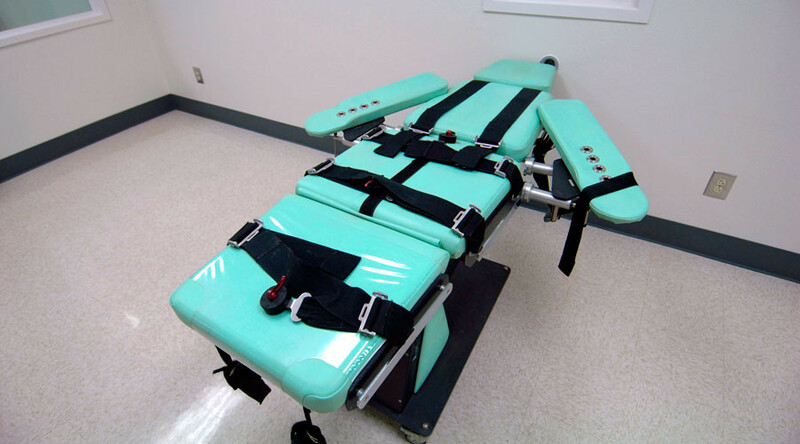 Arkansas has scheduled the rush of executions because one of its three lethal injection drugs, midazolam, will expire at the end of April. Eight inmates are scheduled to be executed between April 17 and 27. The last execution in the state was Eric Nance on November 29, 2005. The state has not put anyone to death since then because of legal challenges to the state’s death penalty and a federal lawsuit opposing the use of the drug midazolam. 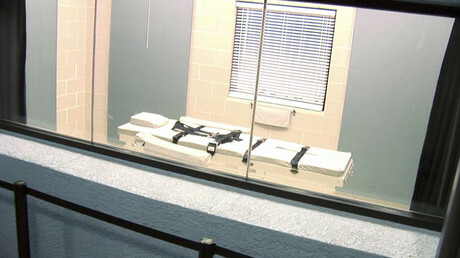 Death penalty opponents claim that the drug does not induce a complete level of unconsciousness, which allows the inmate to feel pain. On Monday, attorneys for nine death row inmates, including the eight scheduled to die next month, filed a petition for a rehearing with the US Supreme Court. The argument is that the two executions at a time within the 10-day time frame is “truly extraordinary” and presents substantial new ground for considering the prisoners’ case. On Tuesday, the state House Committee gave short shrift to two bills to abolish or limit the death penalty.